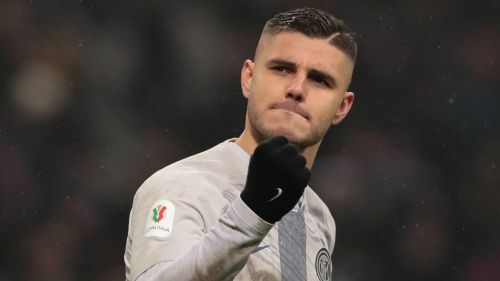 Mauro Icardi is not in Inter's squad to face SPAL on Sunday. Icardi has not played for Inter since being stripped of the captaincy, with goalkeeper Samir Handanovic named his replacement. The striker has claimed he is receiving treatment on a knee injury, but Inter said tests found no specific issue. Inter released a statement this week confirming "cordial" talks had been held with Icardi and his agent, Wanda Nara, who is also his wife. But despite speculation that meeting had paved the way for Icardi to play against SPAL, he is not in Spallett's squad. Also absent is Radja Nainggolan, with the midfielder expected to miss the Milan derby later this month due to a calf injury.